The house in the woods. (and subdivision of only 21 homes) One owner home. Here is your chance to add your own design to a well built home that has all the amenities everyone desires. First floor master, first floor laundry, large master suite, open floor plan, split floor plan, 1.05 Acres, 3 car garage, screened in porch with 220v for hot tub, irrigation system and PRIVACY. 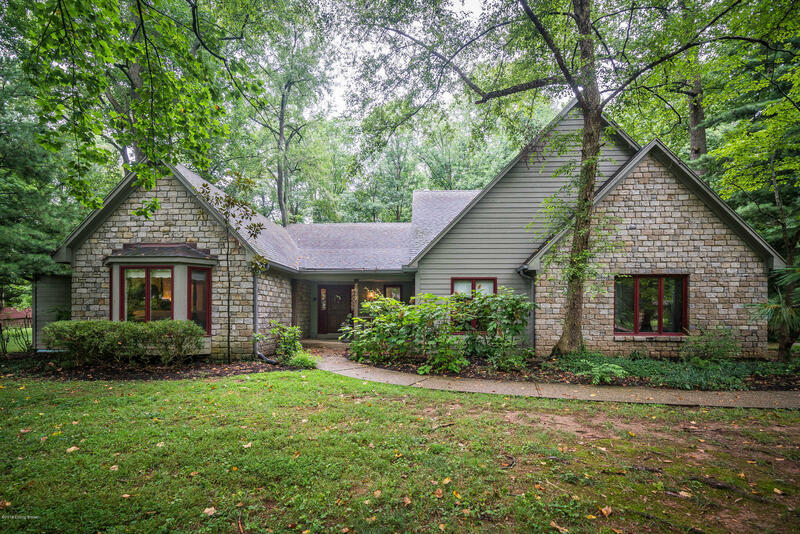 This home is near the Oldham/ Jefferson county line, making the location spectacular. Great proximity to expressways, groceries, and restaurants with all the benefits of being an OLDHAM COUNTY resident. Pewee Valley address and Oldham Schools. There is 1976 square feet in lower level ready to be finished.